Just A Car Geek: 1982 Renault Le Car (R5) "Sport"
1982 Renault Le Car (R5) "Sport"
This is interesting. This is a LeCar "Sport". It has a number of unusual and desirable features, including the 3 lug Renault sport wheels, sport seats, a Formuling France steering wheel, tach and air conditioning. The most desirable of all, and something I've never seen before, is the roof mounted spoiler. The body of this LeCar is not perfect. There's quite a bit of visable rust and I suspect there's plenty of hidden rust, too. Located in Great Neck, NY, click here to see the eBay listing. Keep posting these Renaults. One day, the right one will show. You're right though, this one has some good bits: A/C, 'nice' seats, tach, good wheel.. it looks as if that's where it's best. Dang to I want one! Thanks! Here's another for sale.. from the Renault Club US, "I have a 1980 Renault R5 Le car For Sale in great running condition. Sliding rag top needs new vinyl. Original rally orange. 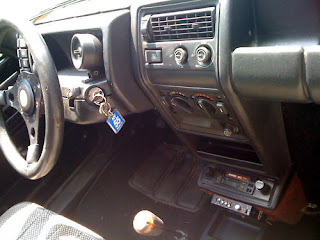 5 speed. Black interior. No rust. Located in Marin county Novato California. No rust.. needs some brake work, but this guy can actually do the work before sale- for any R-5 freaks, this one has some real potential. Nothing makes a car sporty like A/C! What a Find! If this car was close to me I would be All over it! 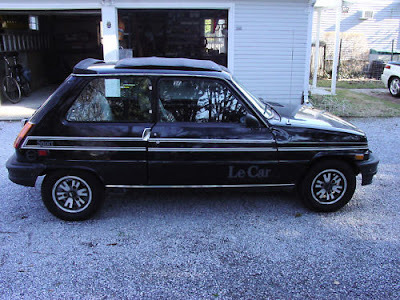 I've owned several Le Cars and R-16s in the past, quirky and Yeah nobody except YOU is going to work on it, but they're so much fun!! 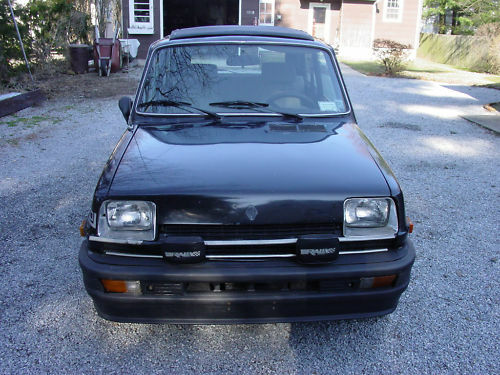 This was my very first car after I got my license in 1982. It was a blast to drive it on the winding roads of Nova Scotia! However, it was such a rare beast in these parts that finding a competent mechanic was next to impossible. It consistently gave me strange problems, like stalling or not starting for now apparent reason. Had it been more reliable, I would definitely have kept it for more than 4 years.